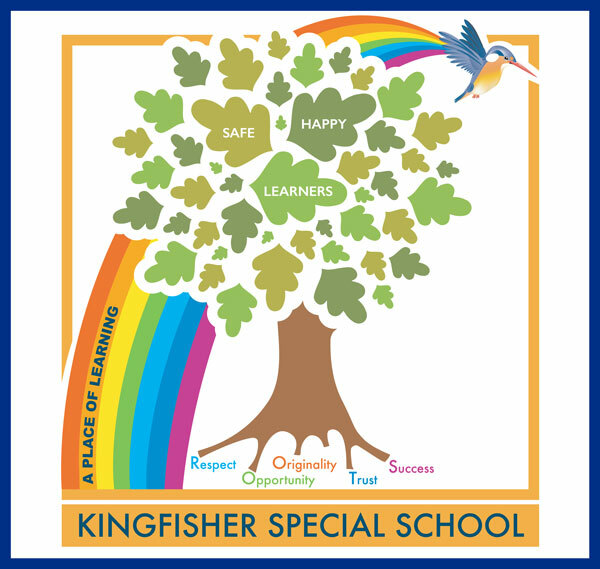 The Values and Vision of Kingfisher Special School are depicted on the School’s tree. As a values-led school, we underpin our everyday practice with the values of Kingfisher Learning Trust – Aspiration, Integrity & Respect. The values of Kingfisher Special School are depicted as trees roots – the foundations of all that we aspire to be in our relationships, behaviour and school culture. We help the children in growing the roots below as they start on their learning journey. Values are a gift we can give the children, developing their wings and the confidence to spread them and let them fly onto the next stage of their learning journey. The children have their own class tree and each week, we all work towards a SMILES target. We introduce this at the beginning of the week in our Class Assembly. The children that progress towards this target receive a leaf that goes on their class tree. One child from each class shares this with the whole school community in our end of week assembly as they place their leaf on the school tree. Each staff team collaboratively develops a vision for their team at the beginning of the school year to agree what their professional behaviours could/will look like; how they will communicate, resolve issues and underpin their work with the school’s values and be able to articulate them to a wider audience. A planned session is facilitated at the beginning of each term to further develop this work and advance and refine our values-led practice through reflection. This ensures that all our work at Kingfisher is joined up and every week we consider our vision and values tree.